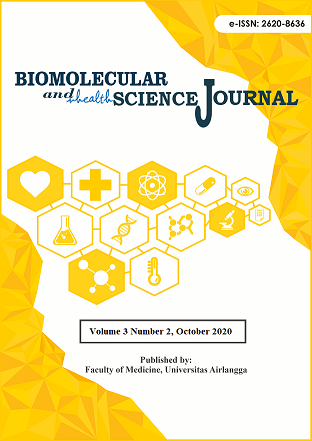 Bimolecular and Health Science Journal (BHSJ) is a scientific peer-reviewed medical doctor which relevant to a medical doctor and other health-related professions by the Faculty of Medicine Universitas Airlangga, Indonesia. 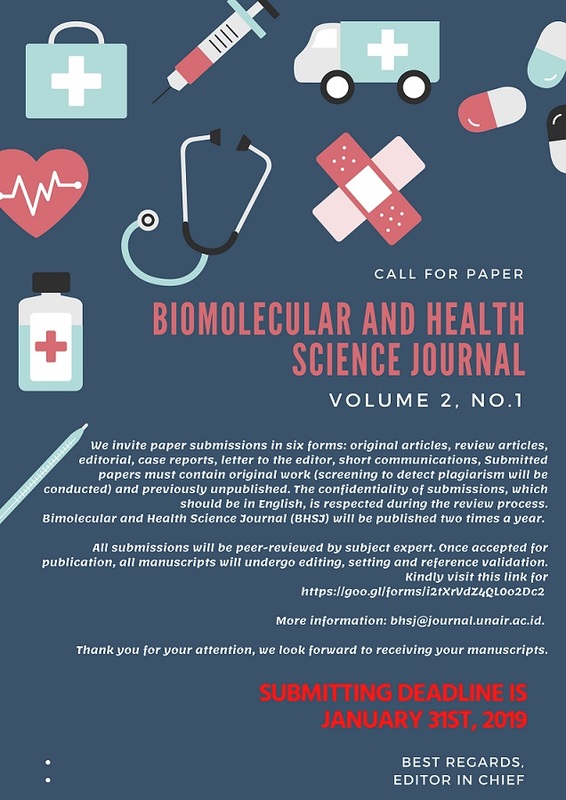 BHSJ provides a forum for original article, review article, editorial, case report(s), letter(s) to the editor, short communication and it will be published two times a year. Studies that focus on evaluating and understanding the complex medical importance are welcomed in BHSJ. Editors will make suggestions for how to publish the journals, removals or additions that could strengthen the argument of the manuscripts. We aim to establish the editorial process that accurate and consistent and does not pompous or tedious. Authors are allowed to write and present the article according to their ideas. Our committee has the highest ethical standards in medical research. Therefore, it is required for authors to provide specific information such as informed consent, study protocols, authorship, and conflict of interest including the studies that are adhered to generally standards. This Journal (E-ISSN:2620-8636) is licensed under a Creative Commons Attribution-ShareAlike 4.0 International License.